Step 1: Find a friend with so much nail polish, you could start a pop-up shop from her bathroom. Step 2: Constantly mock said friend about purchasing even more nail polish (after she told us to stop her from doing so) adding to her vast collection of reds pinks and corals. And that’s exactly what we did…. After that we bought various domain names and started to think long term – basically (as girls do) we got a bit carried away and thought about Mee (the “Box” bit came later) branching into other areas besides nail polish to coincide with our global takeover. We soon realised we still had rent to pay, bills to deal with, feed ourselves and of course buy physical stock for our boxes (with no investors or loans) We are still in full time employment with two of us freelancing – oh, and did we mention our Creative Director (Emma) is working remotely from Florida…?! So we got back to basics and focused solely on our one true passion – nails. Bhavna Malkani: PR & Operations – [email protected] If you’re a blogger and want to review a MeeBox or a beauty journalist who’d like to feature one, this is your go-to-girl – she’s also the brains of the operation and keeps our finances in check despite Nathalie & Emma getting a bit shop-a-holic sometimes. Nathalie Gordon: Business Development Manager – [email protected] She’s the lady knocking on your door asking for products and the one you go to if you’d like your brand featured in a MeeBox. Emma Wood: Creative Director – [email protected] Responsible for all visual prettiness in web and print form – Plus if you’re chatting to MeeBox on social media, chances are – you’ve got her on the other end. So with our job roles identified we Skype every Sunday with a list of tasks and get to work. 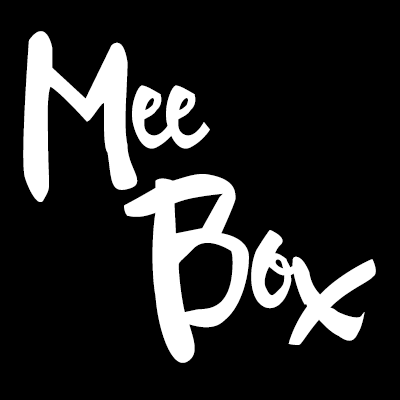 We work on MeeBox every spare hour we have so how we still manage to work full-time, socialise and run a new business still amazes us. You will however, find us with our heads in our phones sending messages back and forth, getting excited about being approached by the next big indie brand, or finding the PERFECT shade for an upcoming box theme and generally gossiping about all nail related things on our social media channels. After a lot of graft and overcoming some massive obstacles, here we are 3 months later shipping our first MeeBox. Ta daaaaaa – and that how you start a business in only 3 months – We hope you like it as much as we do!